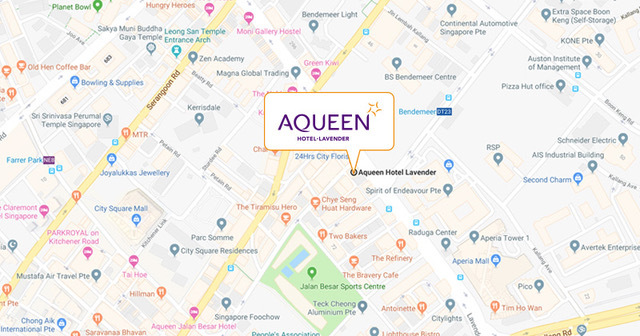 Aqueen Hotel Lavender is situated along Lavender Street and conveniently accessible through a network of public transport systems; historical, cultural, entertainment and retail areas in SIngapore are easily connected. Aqueen Hotel Lavender's location near the MRT makes it convenient for guests to visit Singapore sights including Marina Bay Sands, Resorts World, Esplanade, Sentosa and Singapore's latest sports playground - The Singapore Sports Hub. Get lost in this historically-rich neighbourhood with streets lined with old buildings that tell the tale of Singapore's past. The juxtaposition of the new and old creates a charm that will appeal to travellers. Singaporepore Changi Airport is easily accessible with many modes of transportation available to and from the Airport. For drivers, car parks are available at every Terminal of the airport as well. A destination in itself, Singapore Changi Airport is well known for its trademark comfort and efficiency. From duty-free shopping to dining and more, the airport’s diverse range of facilities and services surprises even the most sophisticated modern-day air passengers. Aqueen Hotel Lavender is conveniently located and well-connected by the local transport network, guests can easily access local historical, cultural, heritage, entertainment, retail and dining options. Aqueen Hotel Lavender's easy access to bus and MRT routes makes it expedient for guests to travel to Singapore sights including Marina Bay Sands, Resorts World, Esplanade and Sentosa. Various modes of transportation such as taxis, airport shuttle buses, trains and buses are available to and from the Airport, which offers a range of comfort, convenience and accessibility options for tourists and locals alike. The Mass Rapid Transit (MRT) is a major public transport in Singapore which consists of five MRT lines (North-South, East-West, North-East, Circle and Downtown Lines). MRT is a safe, reliable and affordable transportation system for both tourists and locals. Aside from general fares and tickets, visitors can purchase the Singapore Tourist Pass (1, 2 or 3-Day Pass) that offers unlimited rides on basic bus services and trains. You can reach the hotel using MRT Public trains and the ride to the closest station “DT23 Bendemeer” takes around 49 minutes. Take the west-bound MRT from Terminal 2 to Expo station and transfer to the Downtown train towards Bukit Panjang. Alight at Bendemeer station. The hotel is a 4-minute walk from the station (350m). 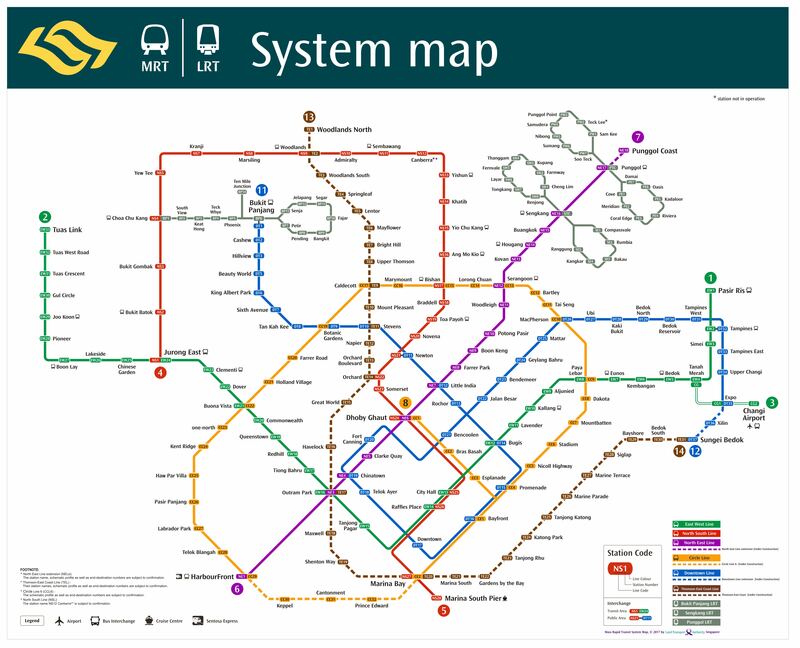 Click here to view a detailed network map of MRT as well as calculate the ride fare. Eight taxi companies operate taxis in Singapore: Comfort Transportation, City Cab, Yellow Top Taxi, SMRT Taxis, Trans-Cab Services, SMART Automobile, Premier Taxis and Prime Taxi. Taxis offer great accessibility as they will provide tourists with greater speed, comfort and of course, privacy. All taxis in Singapore charge by the meter. It is a fair and transparent system. There are also Taxi Apps, like Grab Taxi, Easy Taxi and Uber etc. that commuters and tourist can download and book taxis, allowing for greater accessibility and convenience, especially during peak periods. Taxis are available at the taxi stands at the Arrival levels of each Terminal. The journey to the Hotel is estimated to cost between $18.00 and $38.00 and takes approximately 25 minutes. Fares are metered and there is additional airport surcharge for all trips originating from the airport. Shuttle buses provide another form of easy convenience and direct shuttle services to the destination of your choice. Bus shuttles are available at each terminal of Changi Airport from $9 per pax and can be booked directly at the airport, arrival hall. *Estimated waiting time for Airport Shuttle is up to 15 minutes during peak hours (6.00am - 9.00am and 5.00pm - 1.00am) and up to 30 minutes during non-peak hours. The journey to the city centre will take approximately 25 minutes under normal traffic conditions. The hotel is a 5-minutes walk from the bus stop.